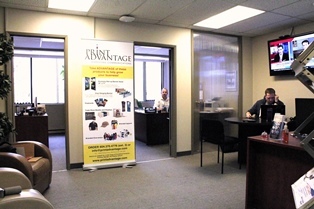 The professionals at Print Advantage have over 65 years of combind experience in the industry. We use the most current tools, resources and processes to ensure you always get your products on time, on budget, and with the highest possible quality. Our online Service Centre provides our valued clients with 24-hour access to our services. You can request an estimate, place an order or transfer a file, all from the convenience of your home or office. We work hard to ensure your experience with Print Advantage is as positive as possible. Our process is designed to be simple and efficient. Select your destination from the links provided to the right, to get started!